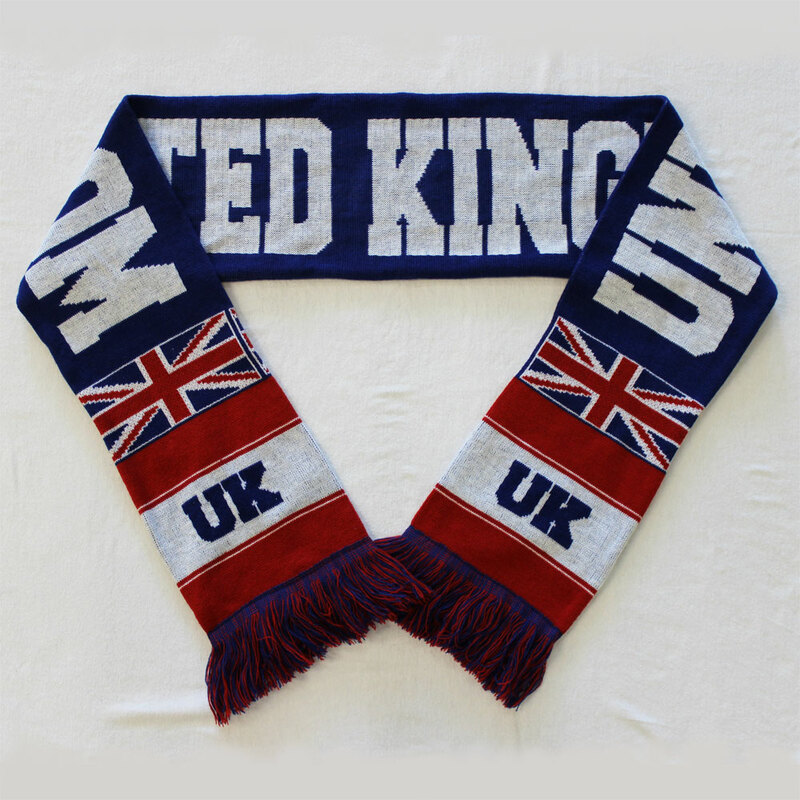 Show national pride AND stay warm with our heavy-weight United Kingdom scarf. Made from 100% acrylic, these colorful double-sided knit scarves make the perfect fall and winter accessory. measurement is approximate and includes fringe.